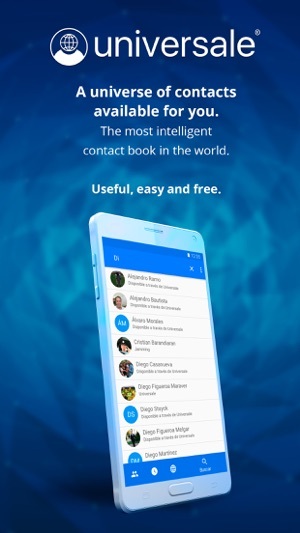 Download Universale and enjoy a phone contact book and contact information 100% synchronized and updated on all your devices. Do you want to keep contact information always safe? Download Universale and keep a contact list always up to date. 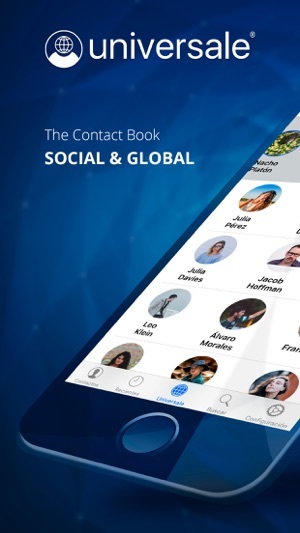 Universale will become your universal contact book, where you can add phone numbers by synchronizing directly with your calendar and you can access it from any device. Friends, family and professionals always at hand! 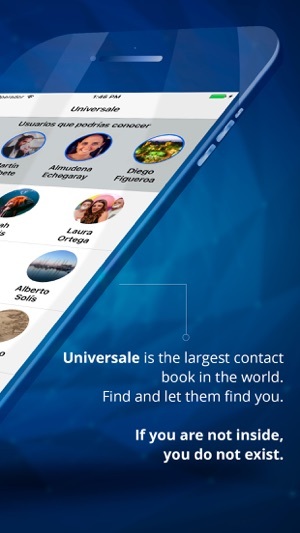 In addition to importing contacts whenever you wish, with the Universale application you can search the contact information of other users of the app. 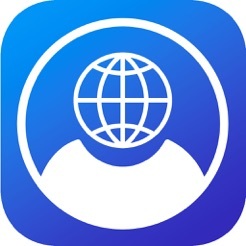 If you wish to contact other professional profiles in your sector, you can now find them through the integrated search engine of the app or the specific section of "people you can meet". In Universale you can share your contact information with the users that you prefer, since you choose your level of privacy. Select at all times who you want to show your photo, email, phone number, etc. Make use of Universale as your new personal contact agenda and / or as your professional agenda or business directory. Upload your personal data or those of your company and gain visibility among potential customers. With the statistics function you will see who has requested your data, how many users have seen your profile and the number of active users in your calendar. Universale is free, useful and simple to use. Always have all your contacts on hand in a single agenda organized according to your preferences. With the app you do not need to save, update or synchronize since Universale will do it for you! √ Automatic synchronization of contacts. 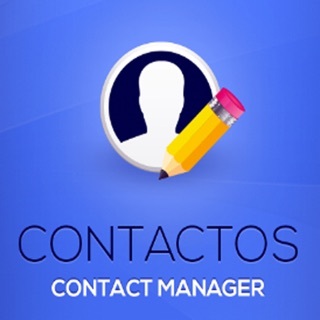 √ Always safe contacts wherever you go. 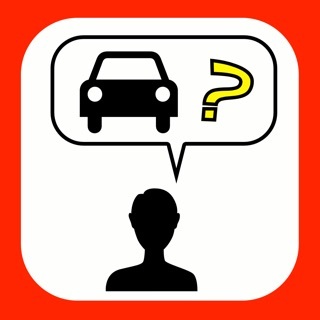 √ Search and find contact information of friends, family or professionals. 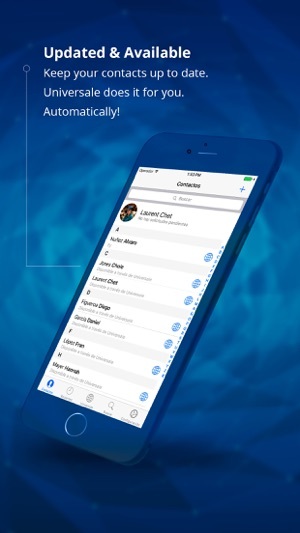 √ Direct contact with people or companies in your calendar through the app. 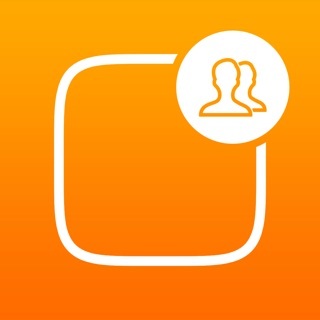 √ Profile configuration as public or private. Choose who you want to access your contact information. √ Personal or company profile to give it a familiar and / or professional use. 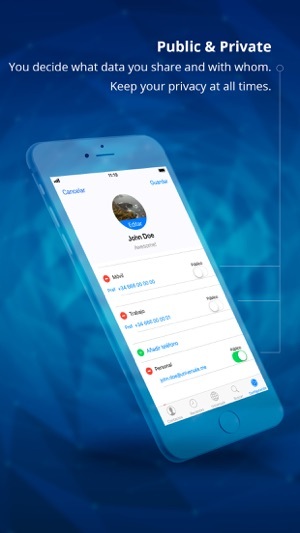 √ Simple and useful interface With Universale you will always have your contacts safe! Universale is a universe of contacts in which you decide what information you show and to whom you add. Download Universale today and keep your personal and professional contacts calendar up to date. After downloading this app it offered me to sigh up, I did it and I never get the confirmation email to activate it. © 2016 Universale Contact Book, S.L.